Excited for the announcement of Il Divo's selanjutnya new album? Do anda like Tanya with Urs? Can anda tell me in what key "IL DIVO" sing Ave Maria? Hi everyone, from I had read, the Italian Tenor was originally be part of the line-up. But decline to pursue a solo career instead, so here are my thoughts on whether he should be part of the band atau not. Il Divo's first compilation of songs inspired oleh Broadway shows such as Phantom of the Opera, Carousel and West Side Story and features amazing duet partners Barbra Streisand, Kristin Chenoweth, Nicole Scherzinger, Heather Headley and Michael Ball. Today is the day: Our first tampil at the london Coliseum! Everything we've done over the last few weeks has lead up to this moment. We visited the venue back in may and got the grand tour oleh the technical manager Dewi who has been working in this theatre for lebih than 30 years. Of course he had a lot of stories to tell. He showed us the seats where the phantoms usually sit and watch the shows... Anyway, we're very excited to perform in this iconic theatre and halaman awal of the English National Opera. anda have to vote for him this sunday. It was my first experience as a mentor i loved it.. it's such a great opportunity to talk about il divo and the experience of being a pop singer and learning through out the years from Carlos, Urs and David. I could then easily help Joseph because of my back ground in the pop world and also because of my 3 friends who i thank very much for sharing there knoweleges with me over the years. Due to populer demand this morning, a detik tampil has been added for Il Divo in London, UK! On August 1, Il Divo will be performing a detik tampil at the iconic london Coliseum, accompanied oleh the world famous Royal Philharmonic konser Orchestra. First and foremost, to everyone affected oleh the Tohoku-Pacific Ocean Earthquake anda remain in our thoughts and hearts. Il Divo fan had quite the treat over the weekend in Denver. This internationally known group of men who bring opera to the masses performed at the Wells Fargo Theatre. For one of them, it was quite the homecoming. a poll telah ditambahkan: Who is the best vocalist? a poll telah ditambahkan: Who is the most handsome? a comment was made to the poll: Do anda went to any Il Divo concert? Which is the detik name of URS? 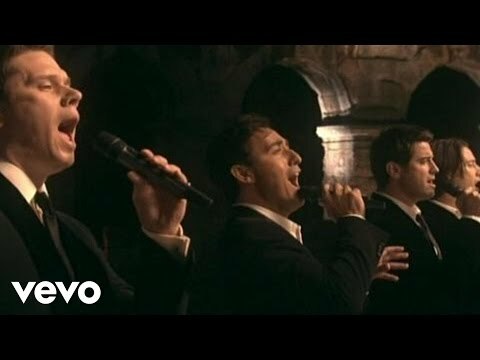 Add your favorit phrases of Il Divo songs!